Most of the prints in this section are part of a series monotypes I created in 2010 and 2011 at Crow's Shadow Institute of the Arts on the Umatilla Indian Reservation near Pendleton, Oregon. 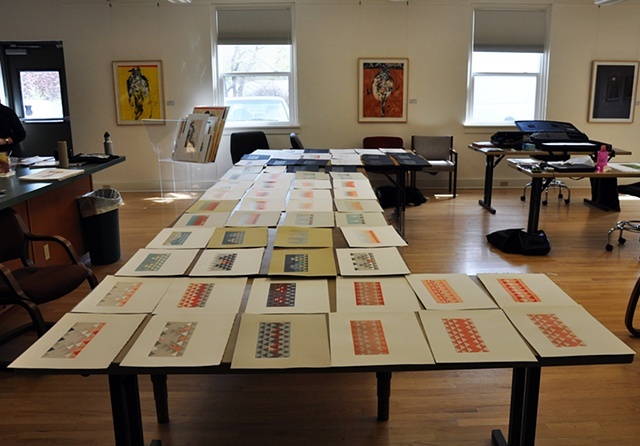 Both four day workshops/retreats were organized by Pacific Northwest College of the Arts in Portland and led by Tamarind Master Printer (and Crow's Shadow Resident Printer) Frank Janzen. As these are monotype prints, each one is unique and an edition of 1/1. They were created using archival quality lithography inks and fine art papers and printed on a Takach press. Working with Frank and everyone else I encountered was an absolute delight. I look forward to returning again!